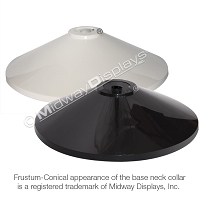 Bulk Instock Counter and Floor Merchandise Display Bases | Midway Displays, Inc.
You are currently in our bulk display section where we keep many sizes and shapes of retail merchandiser bases in stock. 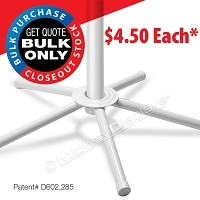 To purchase stock bases in quantities of 25 and under simply click on the green "BUY NOW" below. 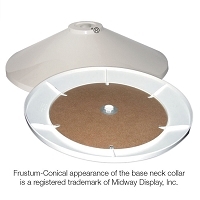 Each retail base shown below also has a convenient link to purchase in smaller quantities. Please call for assistance or quotes. We are always happy to serve your retail merchandising needs. 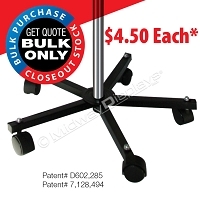 Individual Purchases Now Available For Our Top Selling 16"- 24"Plastic Floor Pole Stand Bases. Yes! 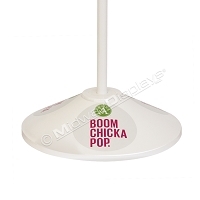 Custom Colors are Available for Retail Pole Stand Bases! 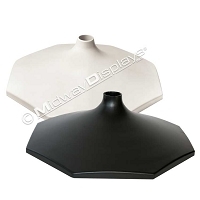 Midway Displays sturdy yet light weight bases for retail floor and counter top displays will set your point of sale display apart from the rest! 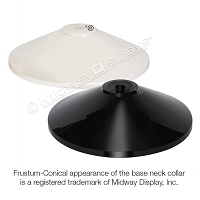 Choose from our wide range of In-Stock Plastic, Metal Tube, and Metal Wire Display Bases. 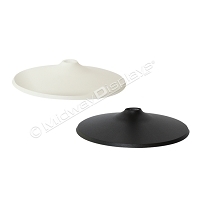 Our top quality made in the USA, round, octagon, and plastic counter-top and floor bases are stocked in white and black, ready for fast delivery. 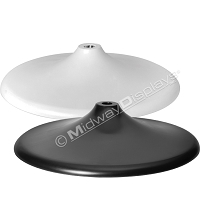 Each plastic floor and counter top base is individually wrapped for added protection and will integrate with standard display poles. 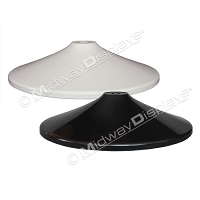 Our unique plastic base nesting design saves you money in freight and warehousing costs! Promote your brand with our custom pad printing and label application options. 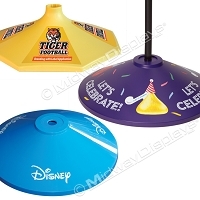 Branding your base also provides you with ownership at the retail store location. 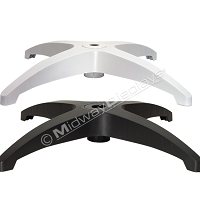 For added stability and easy maintenance or to add mobility to your spinner display, we recommend one of our Stock Metal Bases. 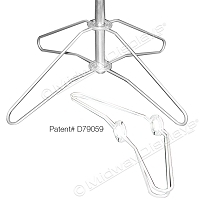 The 5 Leg Metal Spider Base accommodates multiple pole sizes. 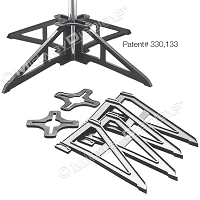 The Snap Out 24" Wire Base folds flat for compact shipping. 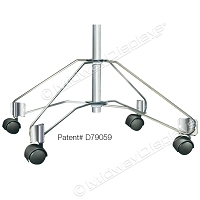 Casters are available on both. 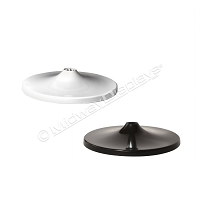 All our metal bases are designed to accept a special swedged (reduced) pole-end, alleviating the need for hardware and tools. 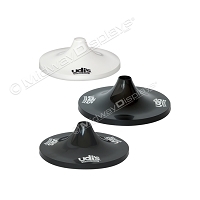 All our bases, whether plastic or metal will give your retail spinner display that custom look at an affordable price. Custom colors are available for special order. Call today 708-563-2323 and speak with one of our friendly sales staff who will be happy to assist you.